Come hang, shop & have fun at this weekend spectacular event that celebrates dogs everywhere in a large–scale, cutting edge multimedia format. 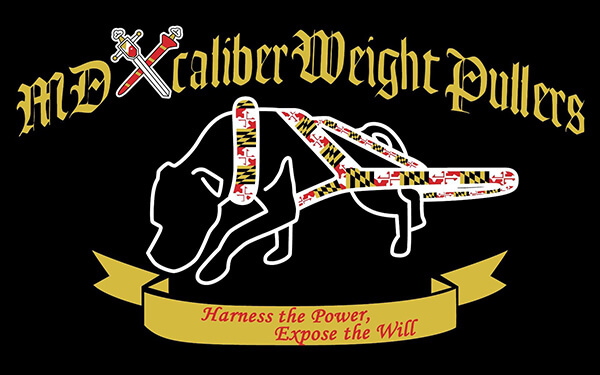 With multiple stages, attendees will enjoy caliber events, such as dock diving, disc dog, lure coursing, weight pulling and schutzhund, just to name a few. Keller’s Cause is a 501(c)(3) non-profit organization dedicated to educating the public on special needs dogs, and providing resources to those that have brought them into their homes. Founders Amanda Fuller and Rose Adler attend events with their dogs Keller (deaf and vision impaired), and Braille (deaf and blind) to show the world how these dogs can flourish under the right circumstances. They have made it their goal to bring light to irresponsible and immoral breeding practices that produce puppies with disabilities, while simultaneously advocating for those in need. Schutzhund is a dog sport that was developed in Germany to test breeds for the traits necessary for police-type work. Watch these hard-working dogs demo Schutzhund throughout the weekend. You’ll also have the chance to learn more about the sport and how to get into it! Off Leash K9 Training is an off-leash dog training business teaching 100% obedience to dogs of all breeds, sizes and ages. They specialize in private lessons, dog behavior consultations, and teaching owners to understand why their dogs do the things they do in order to create a strong bond between the owner and dog. Off Leash K9 thrives off of seeing the joy in both the dog’s and the owner’s faces when they have mastered a new command without the restriction of a leash. By the end of their training, your dog will be trained to have the same level of obedience as most police/military working dogs. Take your dog to our Doggy Gym for some fun interactive playtime to make new dog friends! The Doggy Gym will be downstairs and will be divided into a big dog section and a small dog & puppy section. Professional trainers will be at each play yard to answer any training and dog socialization questions. Bring your new puppy to learn how to appropriately socialize them with other dogs! Gyms For Dogs is proudly sponsoring The Doggy Gym for our attendees and their best friends! They have provided all of the interactive play equipment that will enrich your pup’s playtime with new furry friends. Gyms For Dogs is committed to delivering high quality dog park products, designed and manufactured in the USA. They promote and believe in the benefits of vigorous outdoor play, exercise, physical and mental stimulation while interacting as a dog and dog owner do when being together outside in natural elements. This company is constantly researching and sourcing new products and equipment that will improve every dog’s quality of life as well as enhance the bond with their owner. The equipment will be for sale and can be taken with you after the expo is over. If you are interested in purchasing any of the equipment, please contact us. Does your dog love water? How about surfing?! You must see Lucy Pet’s Gnarly Crankin’ K-9 Wavemaker! Any dog can try it out throughout the entire weekend. You can watch in awe as your dog surfs some waves on this huge traveling wave-pool. Don’t forget – It’s FREE! Stop at our Bark Easy for a drink for you.. and your four-legged best friend! Yes, that’s right, your buddy can have a doggy beer, too. Tito’s will have fun dog-themed drinks for adults 21 and older and Beer Paws will have 100% dog-safe beer for your pooch. So, take a quick break from all of the dog fun to rest your feet for a bit and have a drink! Throughout the weekend event, you can check out and even participate in different dog sports! If you have always wanted to try one out, but unsure if your dog would enjoy it, this is your chance! We have some of the top teams doing demos and providing you with tips and advice on how to get started in each of the dog sports. The sporting demos will include Fly Ball, Disc Dog, Canine Freestyle and much more! On Saturday, June 9th, join motorcycle riders for a ride that benefits rescue dogs! Riders register and start at Hannum’s Harley-Davidson in Rahway NJ. Registration is from 9:00am – 11:00am. Kickstands go up at 11:00am and you end your ride at World Dog Expo! It is $40 per biker and $10 per passenger. By participating in this ride, you are benefiting World Dog Expo’s Rescue Honors! For more information, visit www.Hogs4Paws.com. This event is sponsored by L.A.M.A of Newark, Adopt A Shelter and Hannum’s Harley Davidson.